Looking back at the time he spent growing up on a farm in Bloomfield, John Coulter freely admits that he didn’t always appreciate it. In hindsight, Coulter admits that growing up on a farm helped shaped who he has become today. 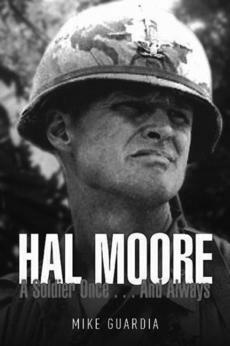 Many Nelson Countians may not know that Hal Moore Parkway near My Old Kentucky Home State Park is named for the soldier played by Mel Gibson in the 2002 movie, “We Were Soldiers,” or that Moore is originally from Bardstown. Readers will, however, be able to learn more about the hometown hero now that a new biography about Moore has been published. Capt. Mike Guardia, an armor officer serving at Fort Bliss, near El Paso, Texas, is the author of “Hal Moore: A Soldier Once … and Always,” published this month by Casemate Books. One of Bardstown’s most popular places to stop and eat some southern cooking is about to feed a much larger audience. 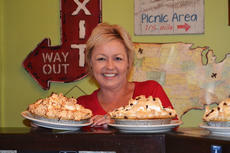 TLC is coming to town to feature Mammy’s Kitchen and the Buttermilk Days Festival on The Fabulous Baker Brothers show. Christy Clark, the proprietor, will be cooking alongside several cameras in her kitchen on North Third Street this month. She said the show will do a segment on the Buttermilk Days Festival before featuring Clark at Mammy’s Kitchen. Creating costumes for “Shrek — The Musical” is not a simple task. Because people expect a certain look with Shrek, it’s all about finding fabric that’s as close as possible to the 2001 movie and the Broadway production, according to Tina Todd, director of costumes for the show. “I tried to find fabrics accessible to us,” she said while ironing a green costume for young Fiona — a few days before “Shrek — The Musical” opened — in the costume department at the Stephen Foster Drama Association. The Kentucky Arts Council is accepting applications through Aug. 15 from craft and visual artists interested in participating in the Kentucky Crafted Program, the only state-supported marketing program for professional artists. The Kentucky Crafted Program is an adjudicated marketing assistance program for painters, photographers, printmakers and craftspeople. He’s big. He’s green. And he’s kind of mean. But all Shrek wants is to be left alone and live his life in solitude. The ogre’s life is turned upside down when a large group of fairytale creatures take refuge near his home after they are banished from the Kingdom of Duloc. So he sets out on a journey to meet with Lord Farquaad. Along the way, though, Shrek meets a talking Donkey and is forced to rescue Fiona, a princess locked away in a tower. There’s a bit of irony in the title of this film. For all the characters are tiny forest folk and forest birds and animals. Events in their world are earth-shaking and climactic. A forest war is an epic incident as important as in our human world. In that forest, a human is trying to prove the Leaf Men civilization is under constant attack from forces that would kill the forest. This is the primeval story of good versus evil. Filming a magic act is seldom successful. There is always the thought by the audience that the trick has been spliced together and there no illusion at all. Remember David Copperfield, who made buildings and airplanes disappear on live-TV. It was all a trick. “Now You See Me” pits an elite FBI squad in a game of cat-and-mouse against ‘The Four Horsemen,’ a super-team of the world’s greatest illusionists. Narrator Nick Carraway (Tobey McGuire) tells us the story of J. Gatsby after spending the topsy-turvy and tipsy summer of 1922 in Gatsby’s society — one which he feels exhilarated by but which he doesn’t understand. Director Baz Luhrmann, who gave us a razzle-dazzle “Moulin Rouge” has done the same here with the added aspect of 3-D. Nick tells the story by taking us into the midst of straw hats and beaded dresses as bootleggers spend their ill-gotten wages.